The current news of the day often inspires readers to consult their dictionaries to clarify the meaning of a “hot” word. Bigot, for instance. Use the the link above to check out each day’s list. Merriam-Webster Unabridged is one of three preeminent English-language dictionaries available online to W&L researchers, the others being the Oxford English Dictionary and the Dictionary of American Regional English. Each is available through the library catalog and various locations in our website, such as this research guide page. 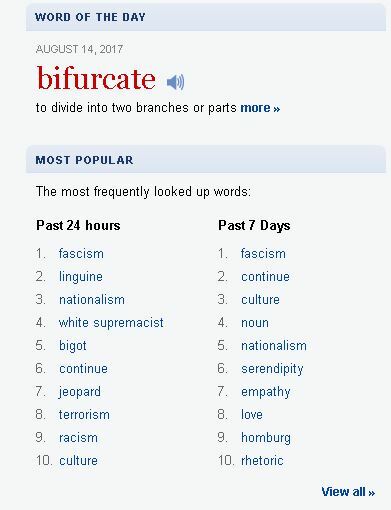 You can get different perspectives on a word such as bigot by checking each of these renowned sources. You don’t have to be a science geek, much less an umbraphile, to appreciate the rarity of a good solar eclipse. 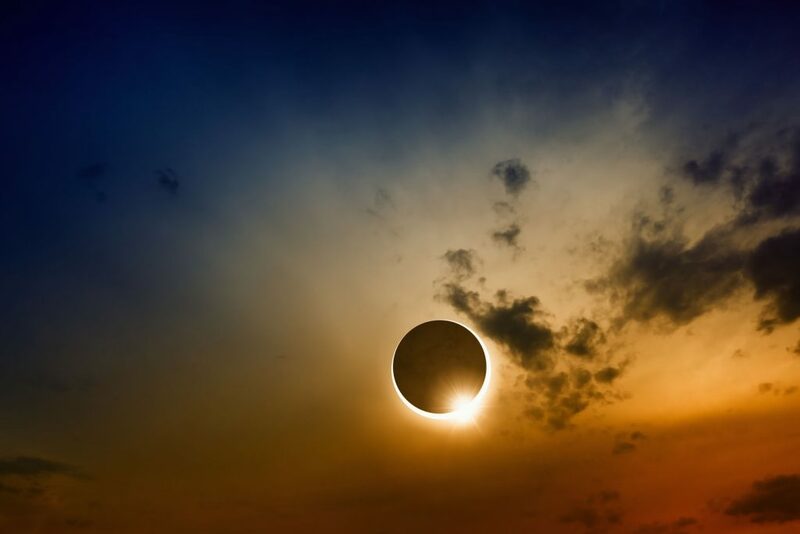 Still, the hype surrounding the upcoming event might lead one to believe that this will be the Washington and Lee community’s first opportunity to experience a solar eclipse. Not so. On the W&L campus, the effects of the eclipse began to be noticeable during that year’s baccalaureate service, which was held in Evans Dining Hall in those days. At least some folks can recall leaving the ceremonies and noting the dusk-like lighting and the peculiar effects of the increasing eclipse on shadows beneath trees on the University’s front lawn. One interesting sidelight on the Richmond Times Dispatch coverage cited above: An article near the bottom of the 31 May front page concerns Jeffrey Scott Gee, the first-ever W&L valedictorian to graduate with a GPA over 4.0. Commencement took place the day after the solar eclipse. Maybe this month’s eclipse also will portend some good news. Fingers crossed.